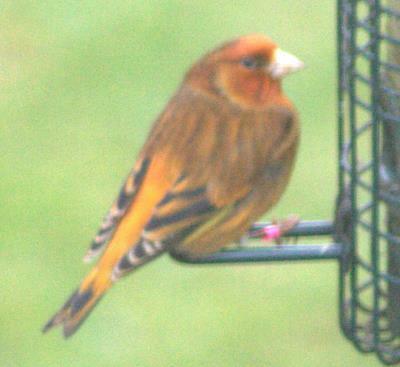 Bird Id - Forum - Identifying Birds - Never Seen This One Before - Can Anyone Help Please. Forum > Identifying Birds > Never Seen This One Before - Can Anyone Help Please. 1 Saw this in the garden yesterday but cannot find it in our bird books. We think its from the finch family! Its got a pink ring around leg. Any help would be much appreciated. Sorry you had problems loading the image - I have attached your image to the original post and tidied the subsequent messages. If you have time to send a contact request with the steps you took and the buttons you clicked and in what order we can investigate further and stop people having problems in future.